merica’s trusted source for consumer product news and reviews on Wednesday published the results of their official iPhone XS and XS Max review. And while neither of Cupertino’s new flagships was able to upend Consumer ReportsNo. 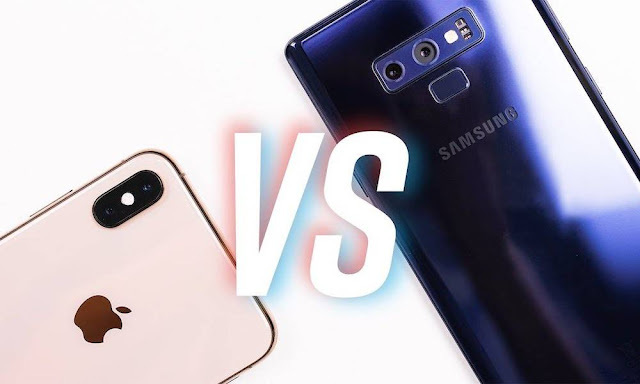 1-ranked smartphone handset — Samsung’s Galaxy Note 9 — it’s definitely worth pointing out that Apple’s latest handsets still shine brightly above the previous-generation iPhoneX in a number of key areas. In comparison to iPhone X, Consumer Reports contends that its direct successor (the 5.8-inch iPhone XS) doesn’t bring many new bells and whistles to the table, although their reporting concedes that Apple still made a number of noteworthy improvements, including to battery life performance, and the addition of a new 6.5-inch iPhone XS Max form-factor. Apple made some bold estimates about its iPhone XS and XS Max battery performance while showcasing the handsets last month. By subjecting them to its “rigorous, lab-based testing” protocols, Consumer Reports was able to conclude that Apple’s descriptively more power-efficient A12 Bionic CPU does, in fact, live up to the company’s promises of longer battery life. More specifically, based on a multi-day assessment in which the firm employed a robotic finger to help mimic an average day’s usage, carrying out various activities like browsing the web, snapping photos, using GPS navigation and more. The publication determined that iPhone XS is able to achieve 24.5 hours of battery life. That’s half an hour longer than last year’s iPhone X. The iPhone XS Max, equipped with the biggest smartphone battery Apple’s ever used before, was able to achieve 26 hours, up to 90 minutes longer than the iPhone X. These tests were conducted at 100% screen brightness, and the results, most notably, fall exactly in line with Apple’s estimates. Consumer Reports noted that the improvement in iPhone XS’ camera quality, in comparison to iPhone X, is marginal — but Apple’s smartphone cameras on the whole still rank among the best in the industry. Despite its higher ranking, Apple’s cameras are even said to outperform the Note 9’s, which racked up the highest rating of any smartphone camera ConsumerReports has tested. Consumer Reports lastly noted that users, “should probably consider investing in a sturdy protective case if you purchase an iPhone XS or XS Max,” citing the handset’s fragility in light of its glass, stainless-steel construction. This contradicts other reports which praise the XS’ strength. But the firm ultimately gave both Apple’s iPhone XS and XS Max a score of 82 — just one point better than the 81 it gave Samsung’s Galaxy S9, and, interestingly, one point behind the Galaxy Note 9’s score of 83. It’s hard to imagine what prompted Consumer Reports to undercut the iPhone XS’ score by one point — especially when it seems they had so many good things to say about it.